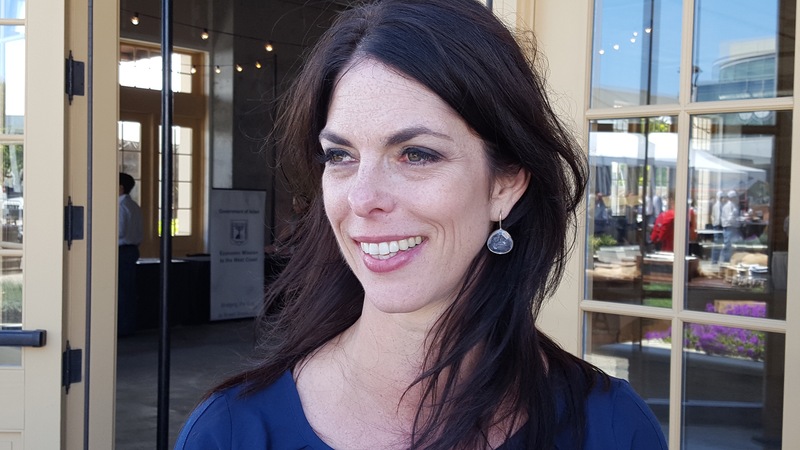 Editor’s Note: Julie Borlaug spoke recently at the 2016 Forbes AgTech Summit in Salinas, and shared with us the legacy of her Grandfather, Norman Ernest Borlaug, a man who used technology to ward off starvation and the recipient of the Nobel Peace Prize, the Medal of Freedom, the Congressional Gold Medal, as well as the importance of advanced technology in Agriculture. We all know why we care about agriculture and a lot of why we care is pretty much some of the same reasons my grandfather was up against during the green revolution. 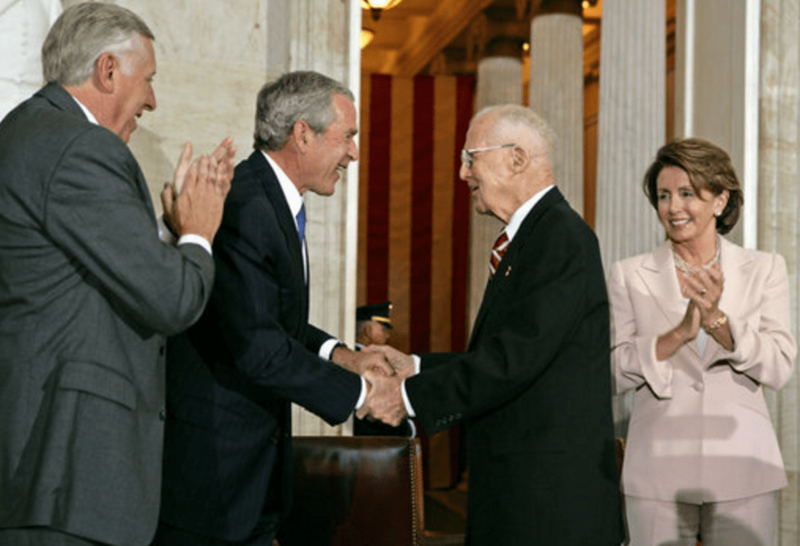 My grandfather was the recipient of the Nobel Peace Prize, the Medal of Freedom, the Congressional Gold Medal and now a statue in the National Statuary Hall at the U.S. Capitol. However, when I speak about my grandfather I like to humanize him a little and make people realize he was a normal person and that anyone can, if they’re dedicated, change the world. 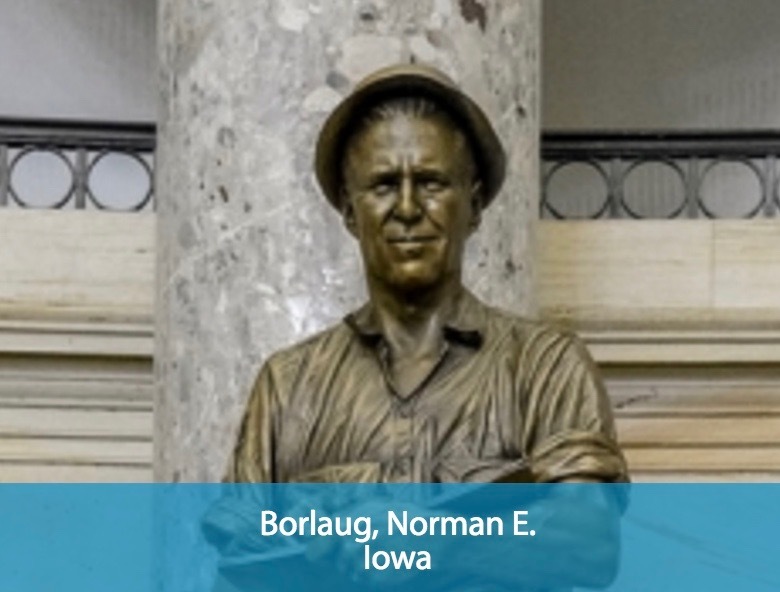 Norman E. Borlaug Statue, National Statuary Hall, U.S. Capitol. Growing up with him, we didn’t really know what he did. We just knew he flew through Dallas on his way to Mexico or Africa or India. In third grade, I took him to show and tell, and he was upstaged by a hamster. I think it was good for him. My grandfather was many things. He was a warrior against hunger, he was a teacher, but first and foremost he was a scientist. He often said, “The fear of change is the greatest obstacle to progress.” He came down on the side of innovation and was known to be bold and quick. He was a fierce advocate for innovation and technological change, especially when it came to developing countries and small-scale farmers. His most potent view of science was that man’s most advanced knowledge and technology should be used in the battle against hunger and poverty. Like my grandfather’s green revolution, we have a huge challenge in front of us: How to feed 9 billion people. This is going to require new economic, political policies, new rounds of innovation, of technological advancements, but most importantly in agriculture, it will require a new way of agriculture to address things. We have to change our thinking, we have to have new partners and we can’t be the traditional Ag and take a silo approach. We have to be interconnected, transformative, with greater transparency and we need to bring the life science technology entrepreneurs—everyone, even the medical community—to the table. That’s one of the reasons why my grandfather’s green revolution was so successful. He realized he had to bring the government, economic infrastructure and technology together for the small-holder farmer for it truly to work, because agriculture alone cannot transform. To feed 9 billion we need to realize we have a new strain of fact-resistant humans and we have a lack of transparency, that’s all you can call them. I could call them something else, but that’s the most polite way. We need to realize that our consumer is very different. We have mommy bloggers, we have foodies driving the conversation and the table is moving closer to the farm. We have all the misconceptions; a backyard garden is not farming. Pretty backyard gardens with chickens running around is not going to feed the world. It takes more than that and we have a public who thinks that’s what it is. I always ask those people, if they want to go see reality, come with me to rural Kenya and let’s ask a female farmer what she needs. It’s seeds, inputs and technology. We also have market confusion. We have vegan green beans, we have gluten-free cranberries, we have GMO-free beef. I was at an opening of Whole Foods a few years ago and there was a North Texas cattle company that was showing GMO-free beef and I had to walk over and ask what he meant. He said, “We do not genetically modify our cattle.” I said, “Well, of course you don’t. Do you mean you’re not giving feed that has been genetically modified?” He said, “No, no, no, we do that. We just don’t genetically modify our cattle.” It was great marketing. We had GMO-free salt that sold at stores. I like that one. We have a public that believes everything on social media, especially what their 20-year-old yoga instructor says, who got a degree in nutrition online. We also have fear campaigns; look at what Greenpeace has done. You cannot be anti-hunger and anti-innovation. If you are going to be anti-innovation, you better have a solution for us because we’re willing to accept it. What’s really [fascinating] is where my grandfather would be excited about the future of Agriculture. My grandfather would be most excited about the gene revolution. We have gene-editing and synthetic biology. There are so many new solutions out there. We have a sharing economy, internet of everything, cloud biology, MachineryLink—something I’m involved in. It’s an uber platform for sharing of equipment. In order to really get to my grandfather’s legacy, we have to remember that we are responsible for the next generation. We have to build the hunger-fighters that my grandfather built. The next generation is growing up with technology, they’re creative, they have bold ideas, they collaborate across discipline and they want change. We need to bring them to the table and support them. If my grandfather was here he would thank you for your dedication and he’d tell you to move faster, because there are 25,000 people who are going to die today while we’re debating future technologies. I think we need to always remember that. I quickly said, “All the hunger-fighters, everyone you’ve trained, everyone in this room is going to ensure we bring a green revolution to Africa that’s appropriate for each country and each area, and we will do that everywhere.” That is what you’re doing, but remember, your innovation and technology is only good when you take it to the farmer. In an exclusive interview with Gavin Newsom, Lieutenant Governor of California, during the recent Forbes AgTech Summit in Salinas, Newsom declared, “It’s interesting about California—outside of Hollywood—no two more iconic industries exist than Silicon Valley’s technology, and the agricultural industry. Newsom said he believes in bottom-up inspiration, not top-down. “I don’t think you can sell down your vision from Sacramento. It’s about regions rising together and creating conditions for just these type of collaborations,” he said. Newsom particularly appreciated comments about innovation. 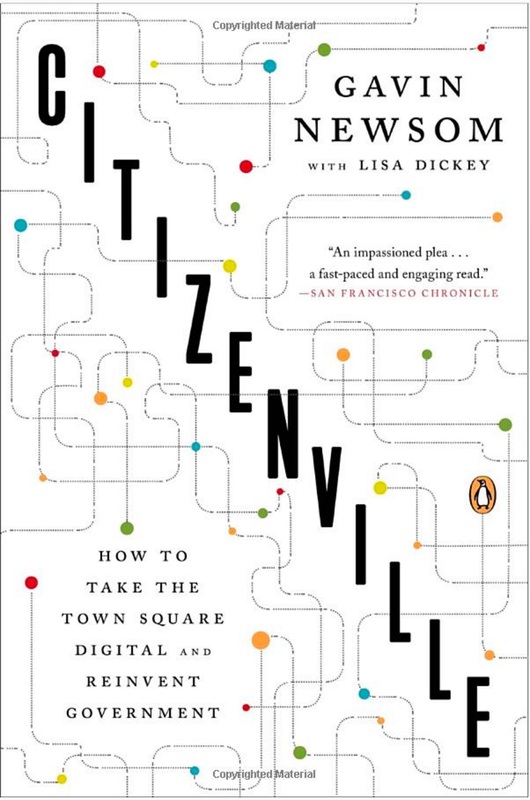 “I wrote a book, [“Citizenville”] and I’m not here to promote that book,” said Newsom, “but the whole idea was about platform thinking. The concept is the federal government, state government, and even local government cannot prescribe a federal, state or local pill for every problem,” he said. “We have regulatory challenges in this state, and I say this as a business person with many businesses. I have a sense of kindred connection in spirit to the entrepreneurial ways that are here today,” he commented. Owner of three wineries, several restaurants and hotels, Newsom stated, “I am in the Ag business, of sorts. My point is, we could do a lot better to make a point that [agriculture] matters and we care,” he said. “At the same time,” he added, “Silicon Valley is center-tip of the spear—all the innovation and discovery, and the change in the way we live, work and play,” Newsom said. “We’re here on a hinge-moment in history where we are going from something old to something new, a world of mobile, local, and social; and cloud and crowd. It’s a moment of anxiety for a lot of people, a moment of merger—the detonation of globalization and technology coming together. Again, there’s a lot of anxiety,” he noted. Newsom suggested this is an opportune time to try to connect dots and address challenges, not just on the regulatory side and on the economic development side in this state, but also on the self-evident issues of water scarcity in this state. “You may have different opinions about climate change, global warming or violent disruption,” said Newsom, “but, as a guy who told me the other day up in Dutch Flat, Placer County, ‘I don’t care about all you folks from San Francisco talking about climate change, but something just ain’t right.’ Which is another way of describing a connection that things have changed,” Newsom explained. Newsom said that kind of predictive nature, in terms of how we construct a water system for a world that no longer exists, and for a population that is twice the size; self-evidently, we have to do things differently. “We’ve got to be more creative and we’ve got to be more strategic,” he noted. “It’s a long way of saying we are grateful for the work [California farmers] are doing. The goal for us in California is to make these conversations sustainable. ‘Not just situational and not just one annual conversation, but these are dialogs that must continue every day in this state,” Newsom said. It is a big challenge to increase production for a hungry world. CDFA Secretary Karen Ross spoke at a recent Soil Health symposium to discuss the critical need to increase production with less resources such as water. “There’s a huge challenge for us to more than double our productivity and yet we are going to do it with less arable land, less available water on a global basis. So really understanding soil health and having the metrics to know what that is and what were doing is improves that as a way to maximize productivity and still get these environmental benefits that come with it. Its the demand of the time and I think California should be a leader,” said Ross. Ross said that California has a good knowledge base to find answers. “We’ve got some understanding world renowned Soil Microbiologists who are looking at this. But its not just going to come from academia its going to come from private companies, it’s going to come from farmers and ranchers who are innovative themselves. And really bringing it all together, and creating that roadmap to prioritize what is it what we know? what are the gaps? How do we prioritize what needs to happens next? and go out and seek the funding, the investment. This is a huge investment for the sustainability for our food supply and humankind,” said Ross. Ross said that California growers are innovative in new systems of farming. “And we see so many of our systems that are constantly adapting and seeking out the information,you know the early adopters who are willing to do some of those systems on their farm. One example is the just all the work on conservation tillage. and it usually takes a few who are willing to go first, kind of prove the concept and share it with their neighbors. Then all of a sudden it becomes the standard practice. It goes from best practices to standard practice,” said Ross.